Born in Germany and later relocating to Paris, haute couture photographer Cathleen Naundorf began her career as a travel photographer and fell naturally into the world of haute couture photography under the encouragement of her mentor Horst P. Horst. 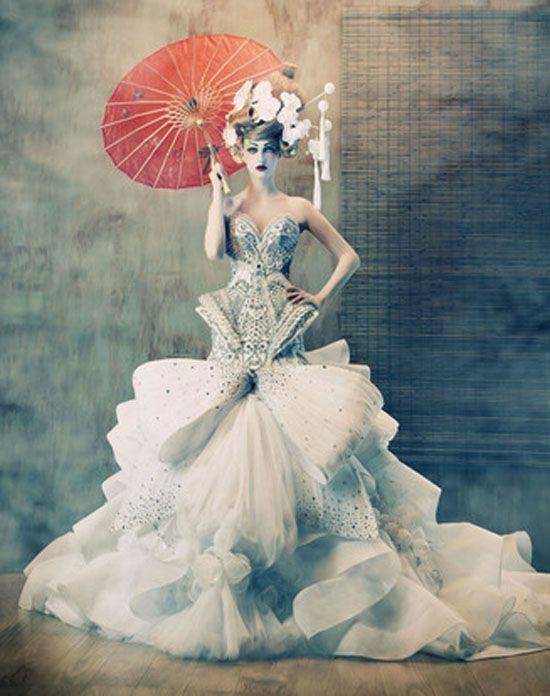 Cathleen Naundorf takes an artisanal approach to photographing the laborious creations of the industry’s most renowned fashion designers such as Lacroix, Versace, Jean-Paul Gaultier, Karl Lagerfeld, Valentino, Elie Saab and Armani to name a few. It is here that one fashion photographer stands out amongst her contemporaries and predecessors; her work compared to the legendary likes of Richard Avedon and Irving Penn. The beauty and craftsmanship of her photographic tableaux rivals that of the haute couture creations she looks to as the subjects of her fantastical polaroids. Cathleen Naundorf mainly works on large format camera's (4x5" and 8x10") and using polaroid films. The artist released her publication Haute Couture: The Polaroids of Cathleen Naundorf. 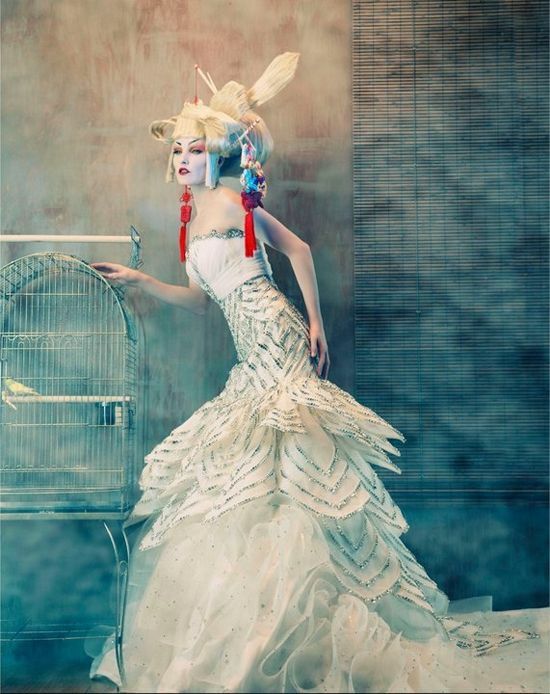 Photography is the medium through which fashion is captured as an art form. 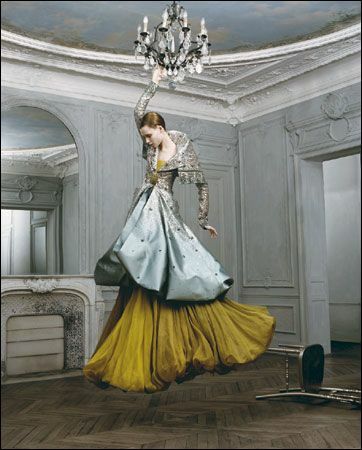 Together they form the symbiotic space in which haute couture photography resides. Haute couture photographer Cathleen Naundorf is an artist and pioneer in the realm of fine-art photography and an iconic figure in the fashion industry; having been granted total access to the ateliers of the gods of haute couture themselves to realize her painting like photographic creations. Naundorf does not simply capture an image as it is perceived in its actuality, but she sets the stage for an elaborate carnivalesque theatre in which the line between photography and painting is blurred into a reverie of romantic vignettes. Naundorf reminds us that photography is an art form not just in its rendition, but by the very creative process through which it is realized. By exposing the imperfections of the developmental process, she creates a kaleidoscope collage of dreamlike images and vintage props, which render high fashion’s most celebrated creations in a unique light. Her photographs transcend reality to reveal a timeless world of whimsy and imagination where past and present melt into her magical vision of haute couture. I was not really interested in fashion because fashion was artificial for me; it was just clothing. I was in Germany and thought people just had to keep warm. Clothing was not to be praised, it was to have a function, but because I am a visual type, I liked the beauty. So when I started to see magazines in Munich––magazines about fashion—I started to see the difference between a commercial fashion shoot and an artistic fashion shoot. "I don’t know where I first saw a picture of Horst. I know my grandparents and the Weissenfels always talked about Horst. I heard this name when I was a child and thought who is this Horst? When I looked at the photo books, I discovered his work, and I thought this is amazing! I told myself if this is fashion, if this can be fashion, then I can be interested in it because it is art. "I gave [Horst] a call in New York and he was very touched because I had grown up in Weissenfels. Then he said to just come over. I couldn’t believe it. I put all my money and courage together and went to New York to meet him with some of my pictures. He said there is something in them, why you don’t try fashion. So the idea started to work in my mind that maybe I could try it. I was a travel photographer which was different because you are always somewhere, which means that you move in your head and you move physically. At the time, I felt that I wanted to settle down a little bit more. I was already 29 and my private life changed, and I wanted to move to Paris. I thought this is a good opportunity to get involved in fashion, and Paris is fashion. 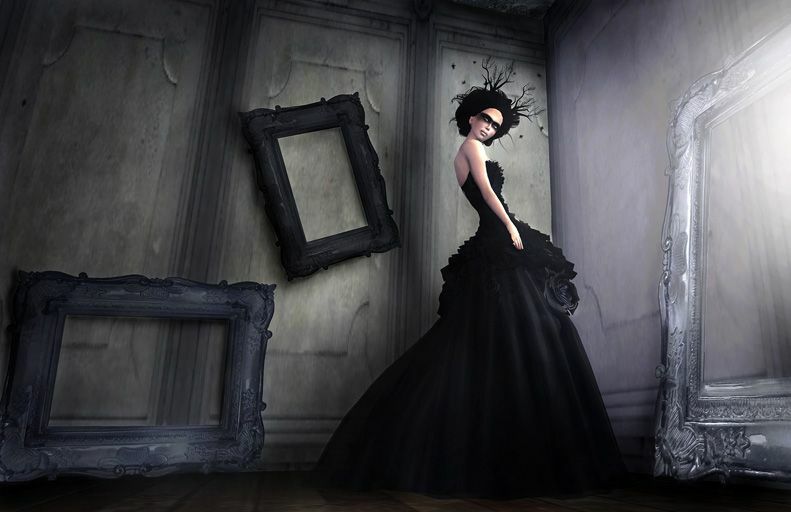 "I saw haute couture, and I saw Christian Lacroix, Valentino, and Karl Lagerfeld. I told myself, this isn’t fashion; this is art. This is something really so professional and about details. It is about everything. It’s about drawings; it’s about food, and so on. I became very interested, so I knocked on the door of François Lesage, who was one of the biggest embroiderers for the haute couture houses. For two years, I worked with the House of Lesage. 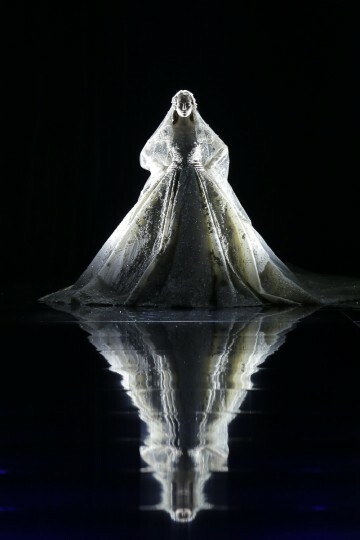 This amazing work of embroidery: for hours, for weeks they make amazing stitching work for clients like Yves saint Laurent and Versace and then they have two minutes on the cat walk, and I said to myself, what world is this? "Then I got very interested. I switched over very slowly to the fashion repertoire. I saw the professional people, how it works, the makeup, the huge preparations, and it was not just this outside world of the artificial. Of course that is the huge costs for fashion houses, I had never before seen a dress on a catwalk and this was very interesting for me. It was a hard job, and I was fascinated. I became very close to the designer because they felt that I was very interested, not in the glamour, but in the work itself. "In 2004 I bought la Chambre. I put down the tripod and I began to shoot, but it isn’t the same because you have to think before you shoot. So of course everything inside and around you changes. If you think that you want to shoot something, you never can. "I chose the Polaroid because it is close to painting, I did not know why I had chosen; it was just that it talked to me. So in the beginning, I bet on the camera and the camera against me because it’s really something different. Since Horst was my mentor he taught me so much about how to prepare for a shooting and how to prepare the head as well. I learned a lot, a lot more than all that. It started with a story of Paris and slowly switched over to one of fashion photography." 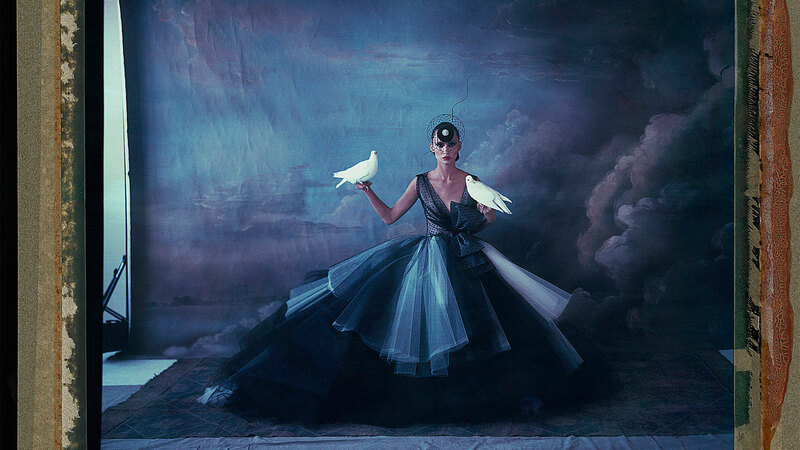 We invited acclaimed photographer Cathleen Naundorf to the V&A to shoot dazzling 1930s gowns from the museum’s collection, on display in the first room of ‘Horst: Photographer of Style’, 6 September 2014 – 4 January 2015, alongside vintage prints from the earliest decade of his long career with Vogue. These ensembles were designed by some of the leading couturiers of pre-war Paris, including Horst’s friend Elsa Schiaparelli, Lanvin, Molyneux, Rouff and Vionnet.